Technologists have joined forces with car manufacturers to envision a future where cars will drive themselves. Autonomous cars are the ultimate Internet of Things (IoT) devices; cloud solutions allow these cars to be controlled by computers. This leaves the hundreds of split-second decisions commuters make in the hands of a microchip. While that may sound intriguing to some, it turns out that there are cybersecurity holes big enough to drive a truck through. 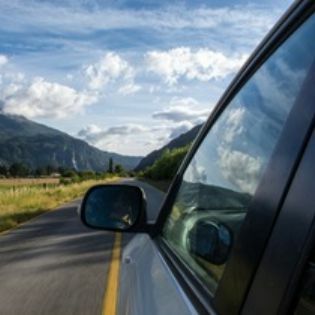 This post explores some of the risks inherent in cloud-connected vehicles. Are we leaving ourselves open to hackers? Cloud Solutions Drive Connected Cars – Into a Ditch? Truthfully, any car less than five years old is already an IoT device. New cars have computers with cloud services built right into their framework. This allows everyone from insurtech companies to automobile manufacturers to take advantage of a rich input of data. Once the connection is established, how far of a stretch is it, really, to establish connections with a computer program that drives the car for you. Or, for hackers to drive the car right into a ditch, for that matter. That’s exactly what happened when a Wired reporter challenged a couple of hack-savvy security experts to exploit vulnerabilities in the Jeep Cherokee he was driving. Hackers were able to use cloud services against the vehicle to send commands remotely through the Jeep’s entertainment console straight into the transmission, brakes, steering, and other controls. The car and the reporter ended up in a ditch. But let’s not pick on just Jeeps – the article went on to describe hacks on Fords and Toyotas. It seems that the cloud services that make cars remotely accessible and pose such an optimistic future for autonomous cars also create a big threat that could cause big problems. What does this mean for self-driving vehicles? In the case of Chrysler, vehicles using the Uconnect cloud services feature were the most vulnerable. Since then the company has issued a security patch, resulting in the recall of more than a million cars. But this experiment illustrated that self-driving cars are likely also vulnerable to hackers. Designers and technologists enthused about the future of autonomous cars promise a more efficient and safe driving experience. In fact, removing the driver from a vehicle will likely be more disruptive than the technology that enabled it to happen. In a world with self-driving cars, pundits suggest today’s traffic snarls will be a memory, as the flow of traffic will not be held hostage to human foibles such as slowing down to text or look at a police car. Instead, the autonomous vehicle will flow smoothly, driven by computer logic, from point A to point B. By the time you read this article, it’s likely that new startups will have entered the market share race for the release of the first totally driverless car. Today, BMW and Mercedez-Benz offer an autopilot feature in some of their cars. Tomorrow, industry predictions suggest there will be 71 million autonomous cars on the highways by 2030. How these manufacturers handle the threats currently posed by cloud services will affect consumers trust in these cars, along with their bottom line. Still, The Atlantic reported that autonomous cars could save 300,000 lives every decade with this technology. Ford says their first self-driving cars are slated to ship in 2021. The Wired article illustrated a blip on the historical radar of development of the self-driving cars. Manufacturers are already shoring up their IoT infrastructures to stay ahead of the hacker curve. The Cloud Academy pointed out that by late 2016 more than 130 million miles had been successfully driven by autonomous vehicles with only one fatality to date. Human-piloted cars cause death every 94 million miles. As these vehicles continue to be tested, car manufacturers are also working to shore up any IoT vulnerabilities in the cars you drive every day. Companies like TOSS C3 understand that cybersecurity is a constant process of testing and shoring up any vulnerabilities while shifting priorities against hacker exploits. To consult with TOSS C3 about the security of your favorite product, contact us. We can provide a free assessment to determine your needs.